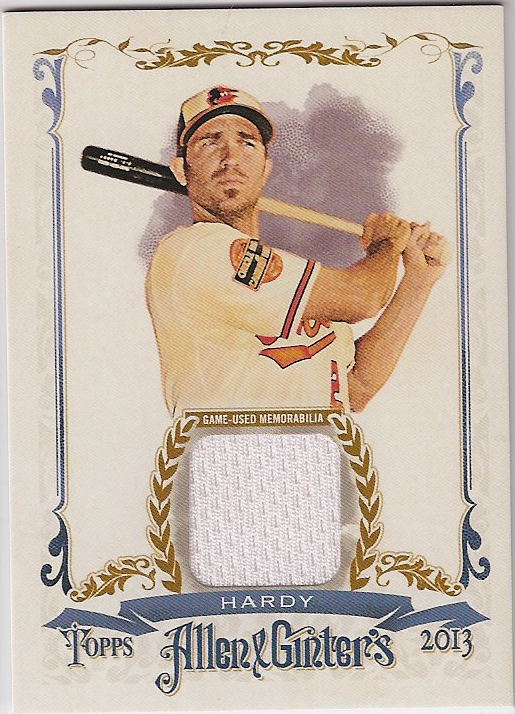 3 Short Printed 2013 Heritage cards I needed. 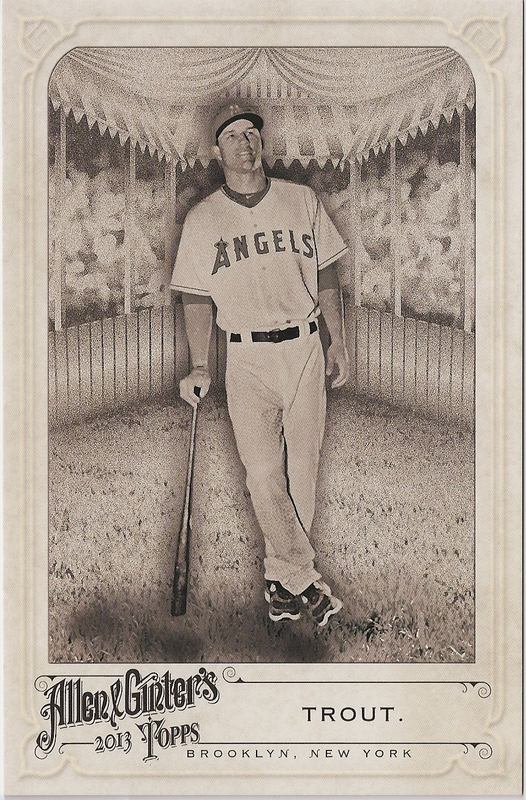 Now only 26 SPs and 1 non SP to go for the base set! 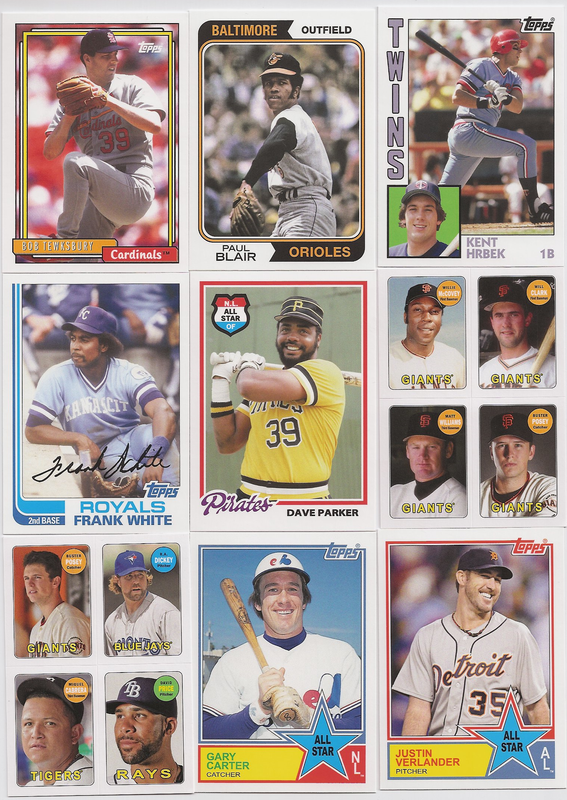 In return I sent Glenn some Tigers inserts/parallels from Series 2 that he needed. Meh? Ok maybe not so meh! 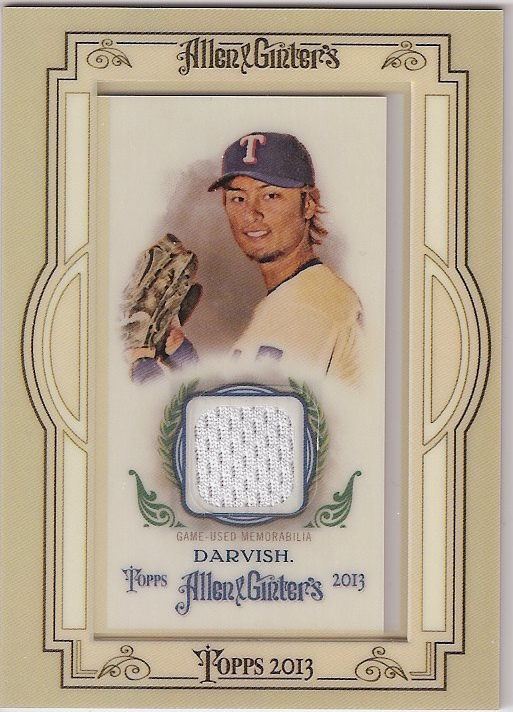 So having pulled a dreaded redemption card I was somewhat dismissive in my post below…. Having now checked it out in more detail turns out I’ve actually done pretty well! 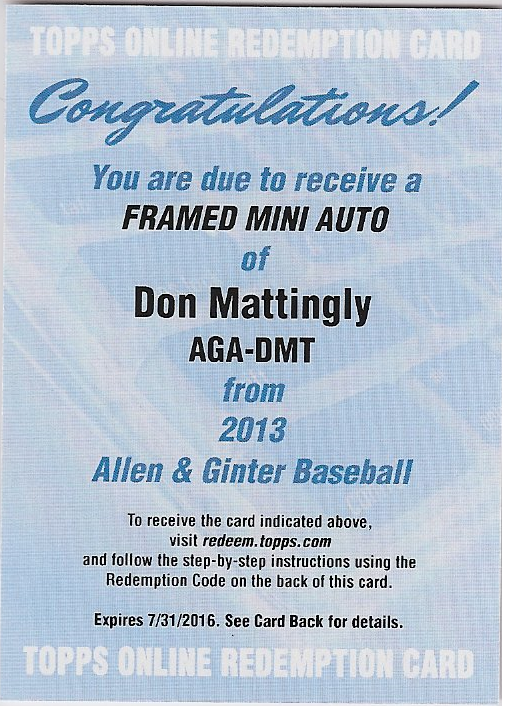 The 2012 Ginter Mattingly Auto goes for $200+. So far no 2013 ones have been sold on ebay. There are 3 listed though with the first one due to finish in about 4 hours and is currently at $66. I shall be watching what happens there eagerly with the intention of listing mine in the week. 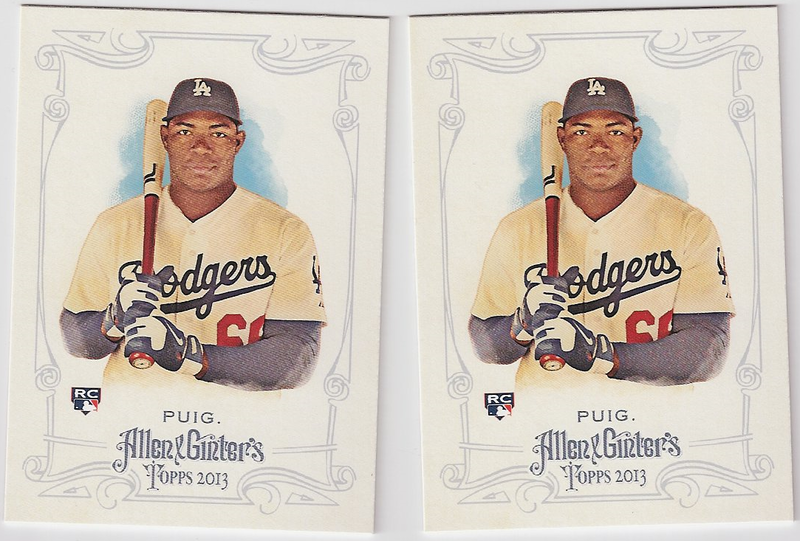 The Puigs I’ve dropped in price a bit as, while they’re still completely over valued for base cards, they’re not going for quite the crazy prices they were in the first couple of days of release. 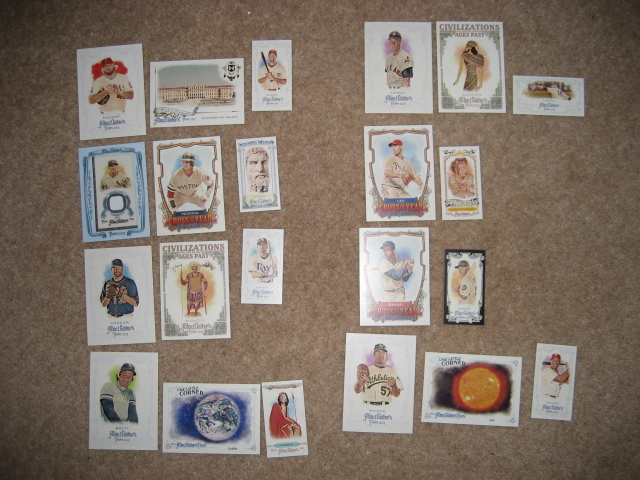 In other news Ive got a couple of UK based trades in the pipeline – full details on those when the cards arrive! 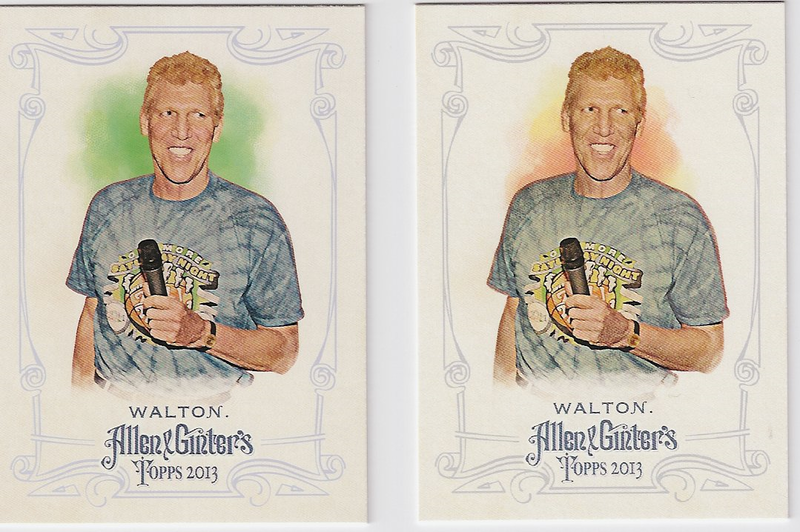 This entry was posted in Uncategorized on August 11, 2013 by Jeff V.
Allen & Ginter is busted! So 4 boxes arrived yesterday and 4 boxes have been opened today. How did I do? 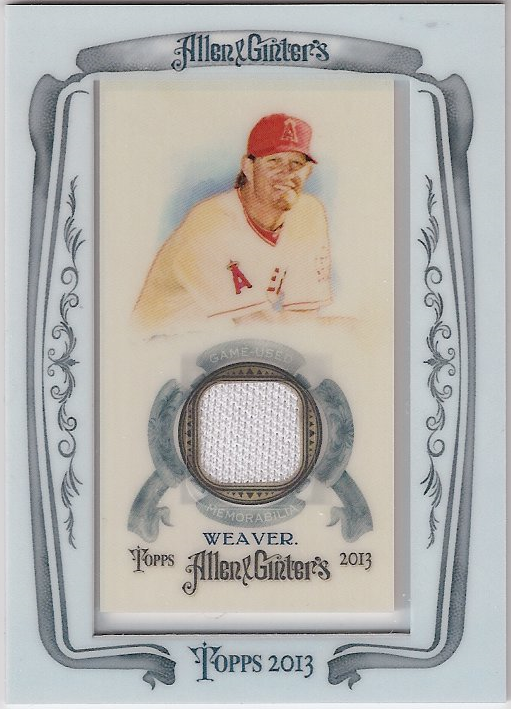 Well I didn’t do as good as last years 4 boxes…..which isn’t surprising when last years boxes contained a 1/1 Verlander Printing Plate and a #/5 Jackie Robinson Rip Card. Now I actually like both these sets a lot. 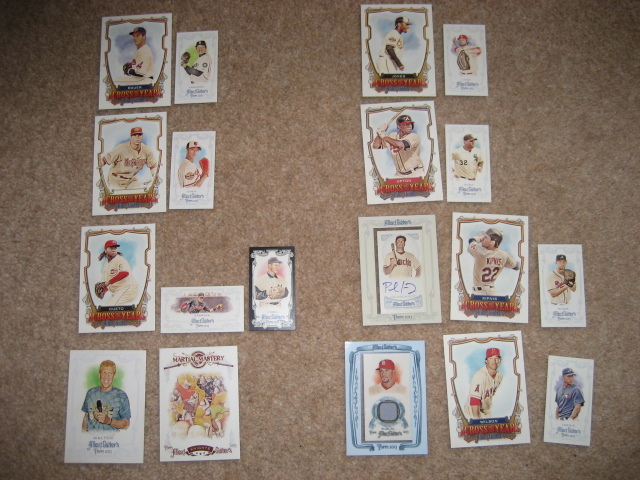 Last year I had no interest in collecting the N43 box topper set – it didn’t take me at all. 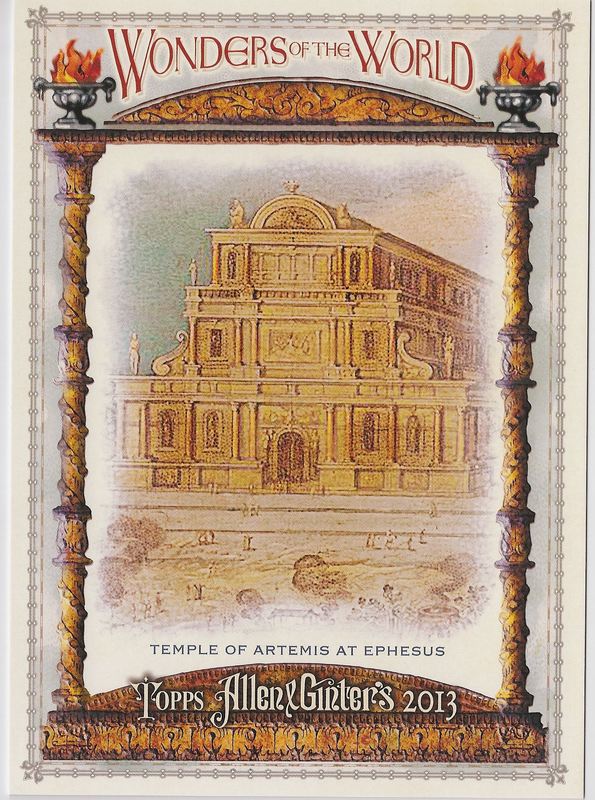 I really like these black and white oversized cards and also the wonders of the World set looks great. So I might think about collecting them. 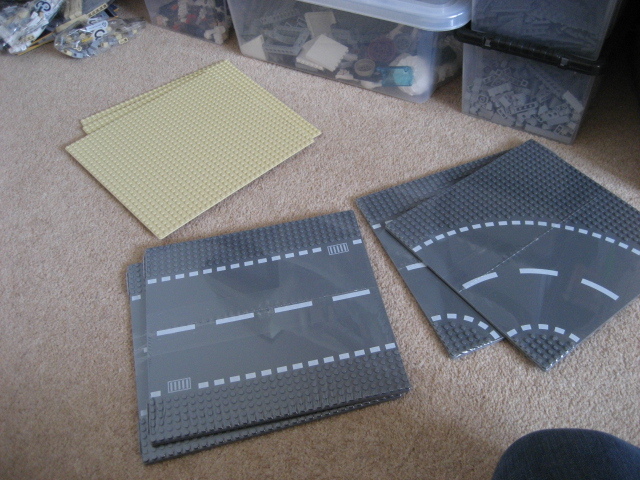 The problem of course is storage/display of these oversized sets so it will require some thought before plunging in. 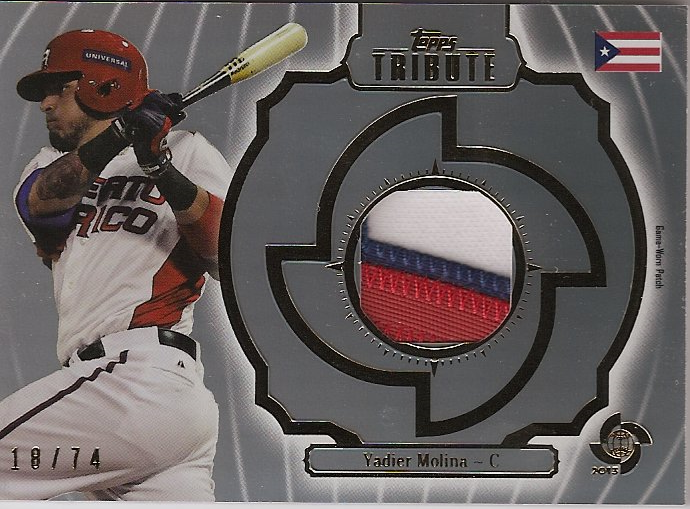 Next up the base cards. Well I completed the non short printed set 1-300. 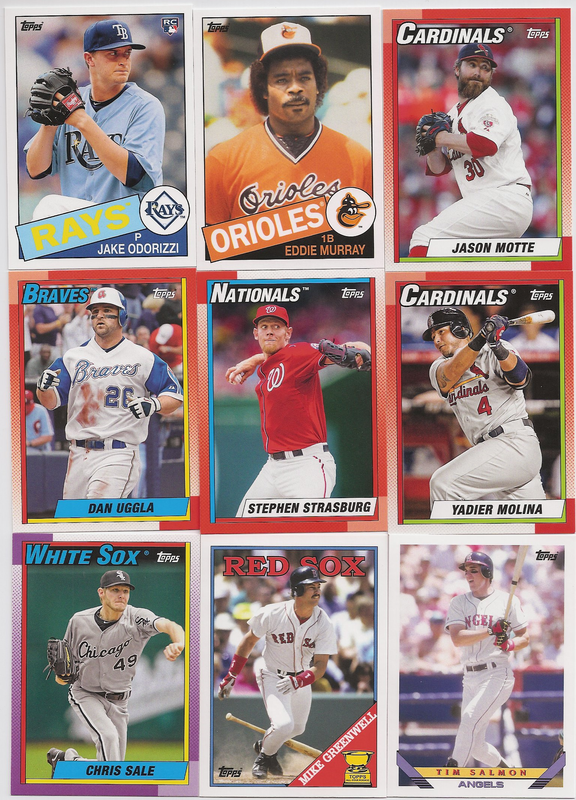 The first 2 boxes I didn’t get many dupes but the 3rd box was a disaster with only about 5 or 6 new base cards. Luckily the 4th box came to the rescue and filled in all the gaps. As for the short prints it was the 3nd box that was the culprit this time with only 4 new ones I didn’t have from the first box. Boxes 3 and 4 then proceeded to produce all new ones so Im left needed just 13 out of the 50 SPs. Exactly the same….oh no different number! 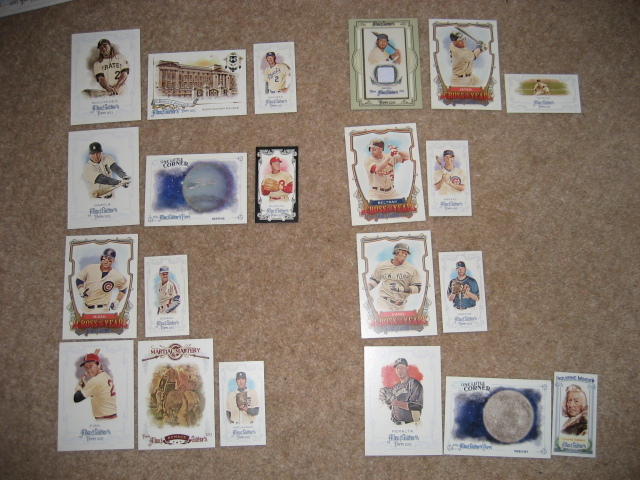 One is Card number 100 and the other is SP Card number 350. 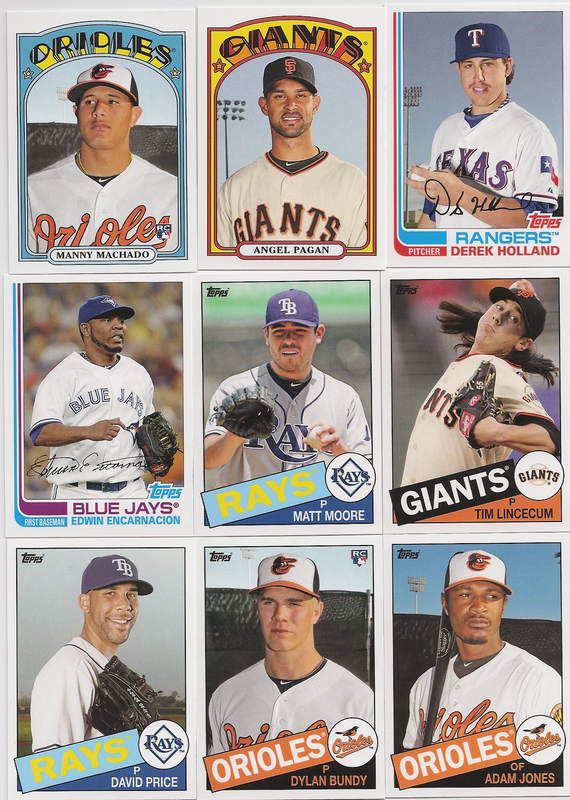 The same non baseball player twice in the set with exactly the same photo…..Ummm Topps WTF? Hopefully someone gets fired for that but somehow I doubt it. 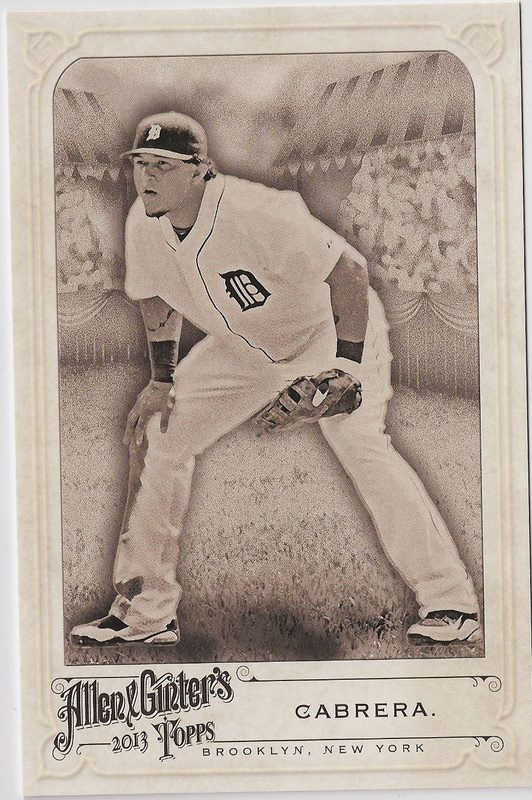 Probably promoted for saving money on number of photos / printing plates needed…. 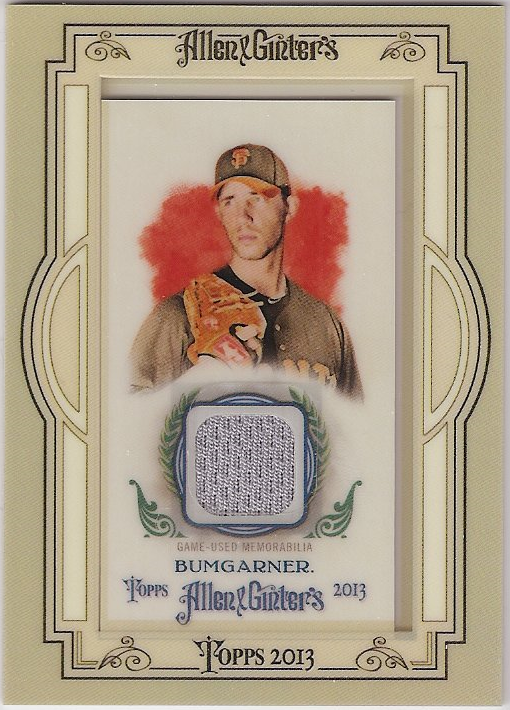 The inserts shouldn’t be anything new for fans of Ginter. Designs are similar to what we’ve seen in the past. 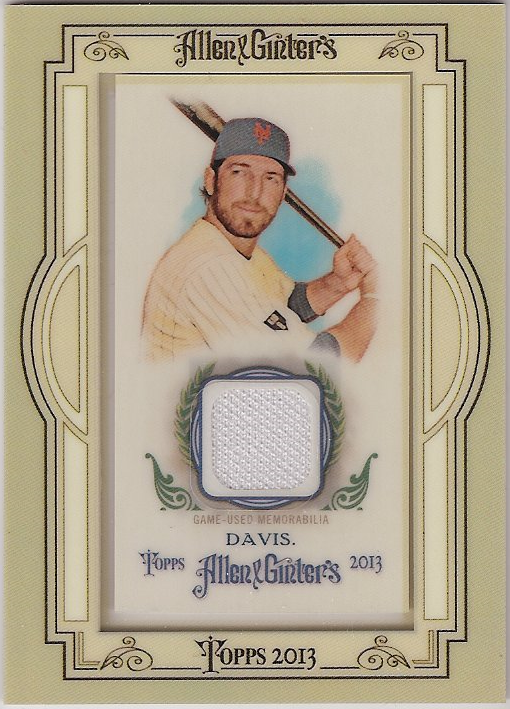 As I said above I’m going after all the insert sets and this is where I did really well. 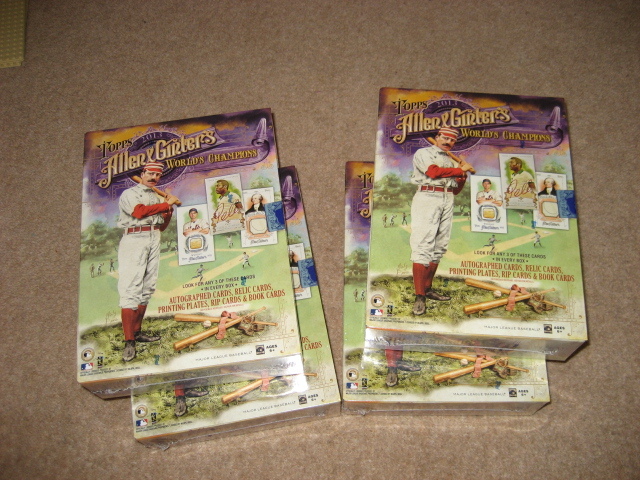 The Across the Years 100 card insert set I got 49 unique and 1 dupe. Out of the other full size inserts sets I only picked up 2 dupes and they are on the 10 card martial Mastery set which I only now need 1 for anyway. And all the minis were unique. The mini parallels of the main set I’m yet to decide what to do with. 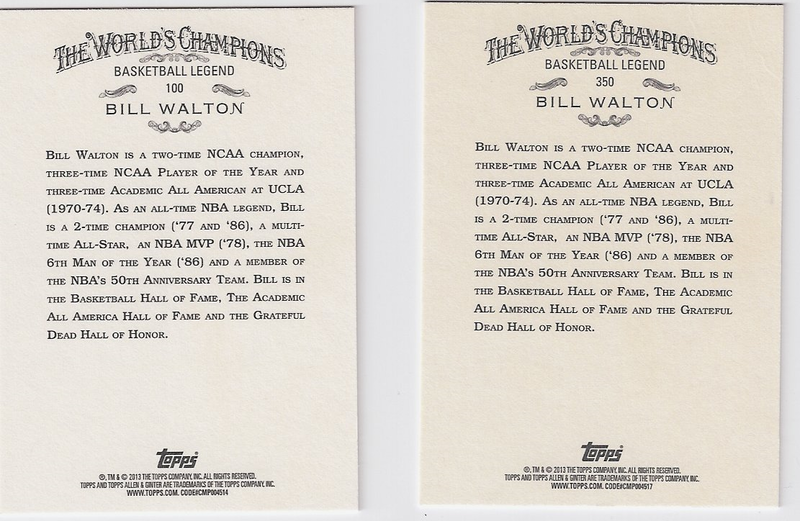 I’m toying with the idea of chasing a complete parallel set but that could be quite painstaking and costly. 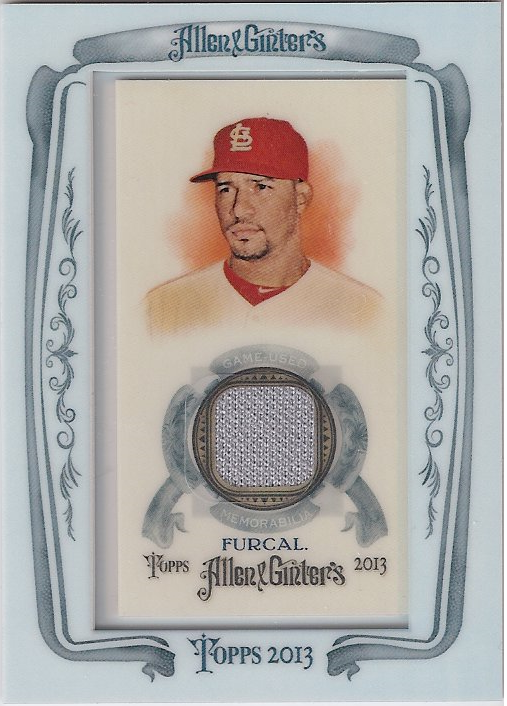 The Jon Jay and Rafael Furcal go straight into the Cardinals collection. 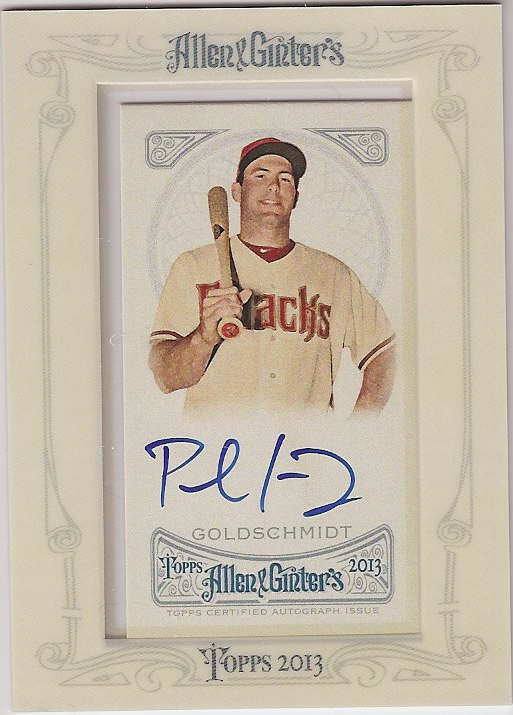 The Ike Davis and Paul Goldschmidt will be available for trade / sale. Box 2 then. Well it was a disappointment on the SP front and it was also somewhat of a disappointment on the hit front. Here comes the dreaded R word….Redemption! 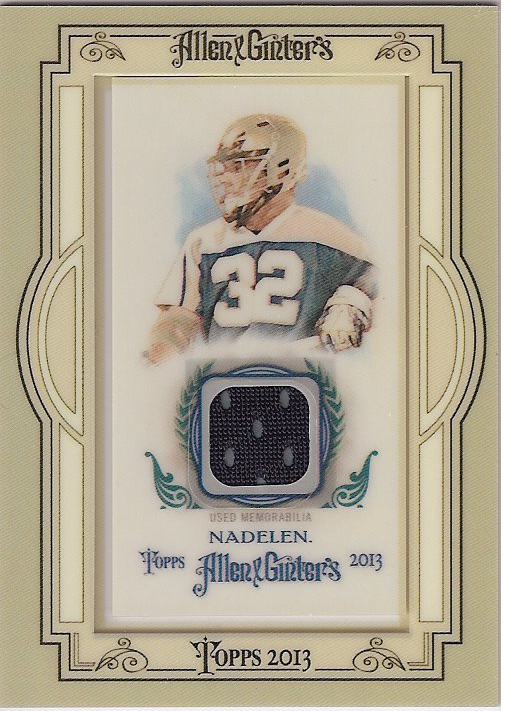 A redemption and a patch from a Lacrosse Coach. meh! All available for trade. Pitchers all the way here and some pretty good ones at that. 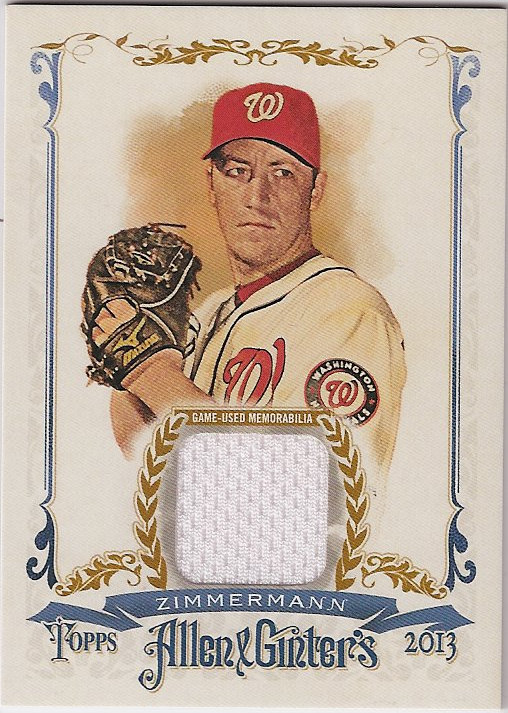 None that I want to keep long term but Zimmermann and Darvish are both Cy Young candidates and if / when they win the award this year or further down the line their cards are gonna go up in values. Both are probably worth holding onto for now. 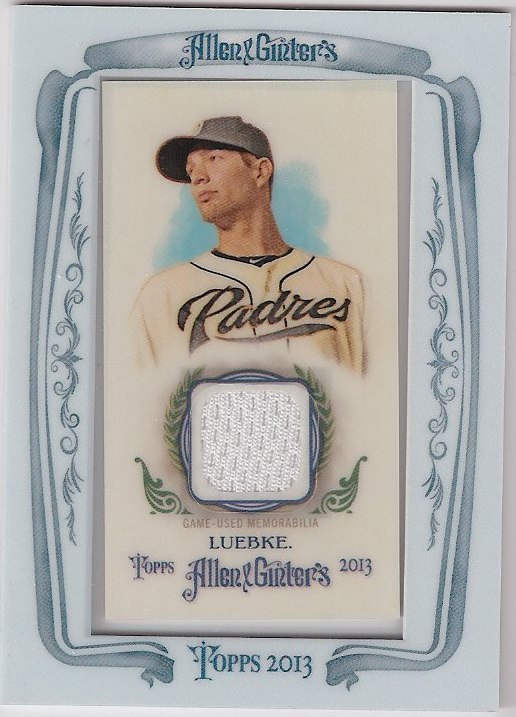 The Luebke though is available for trade. So there we go. Boxes busted. Want list and Trade bait sections are updated so please check them out and get in touch if you want to trade – leave a reply or send me an email! 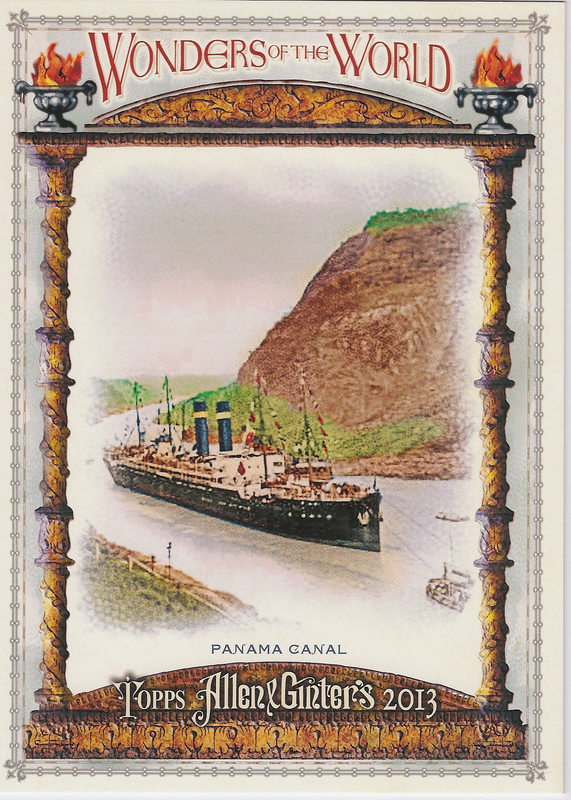 This entry was posted in Uncategorized on August 9, 2013 by Jeff V.
Allen & Ginter is in the UK!! and inside what do we have…. And with that teaser I must be off to nursery to collect little miss. Probably wont get a chance to open any now today but I think we all know what I will be doing tomorrow! 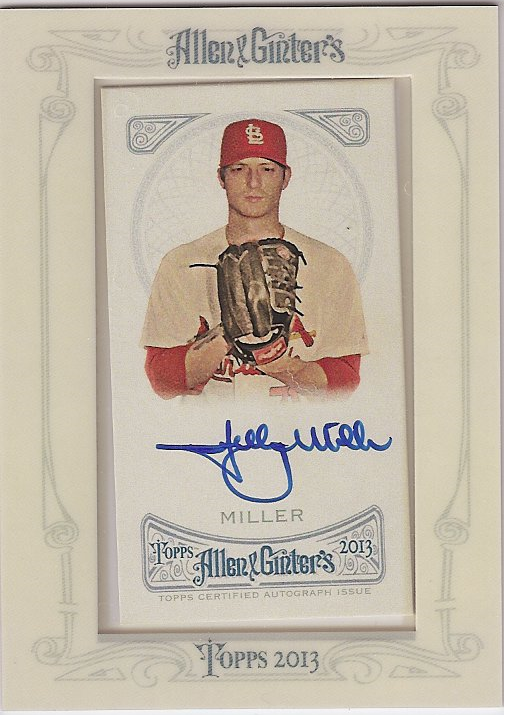 This entry was posted in Uncategorized on August 8, 2013 by Jeff V.
So as well as the Yadier Molina card arriving yesterday there were a few other packages as well. 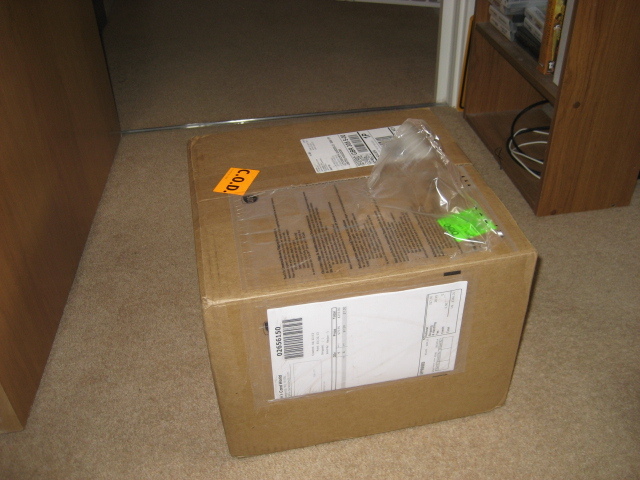 All of which contained lego! 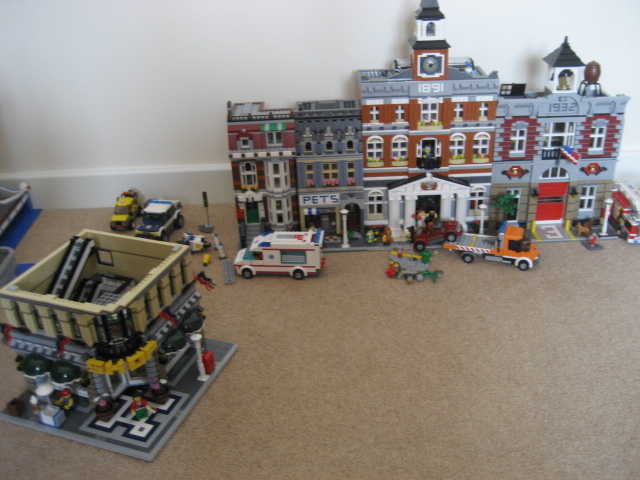 So there you’ll see The Pet Shop, Town Hall and Fire Station built and connected with a selection of vechile sets also constructed around them. Nearest is the Grand Emporium which is about half way or so built and then after that I have the Palace Cinema and Haunted House to build. 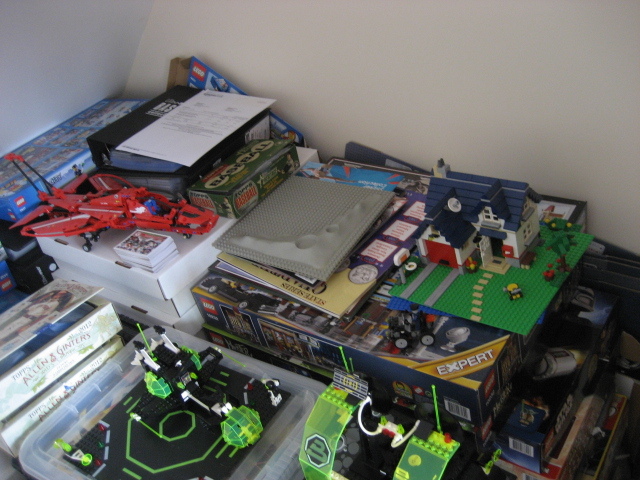 I also have a number of other city sets to add in as well – a couple more vehicles, train station, mine. After that I’ll probably start trying to put together some custom stuff. 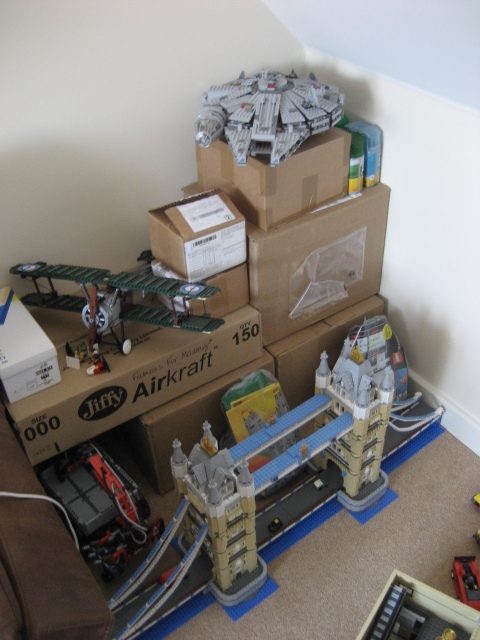 So to the left is the London Bridge model along with the Sopwith Camel, Millenium Falcon models and also a Technic Truck and a bunch of storage boxes. 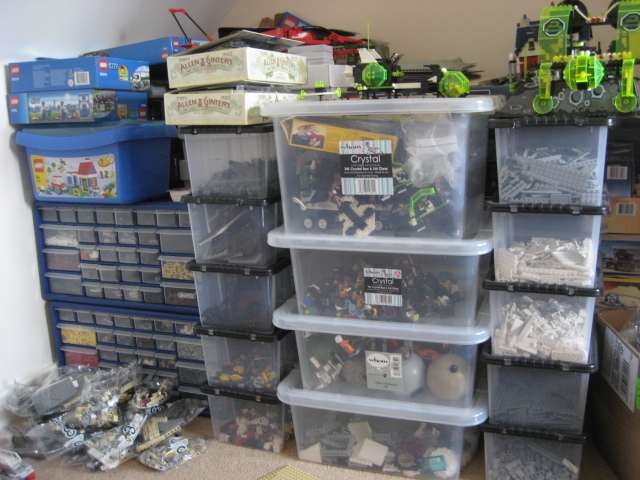 To the right we have a bunch of my storage lego boxes. The big one in the middle contains a load of the old 80s/90s space sets I had as a kid that I’ve started rebuilding – you can also see the Blacktron Base sitting on top. Then also built on top you’ve got Apple Tree Cottage which will be added to the city build and a technic jet fighter. Under the cottage are a bunch of bigger set boxes (the palace cinema and haunted house are on top with some star wars sets and some older sets from my childhood underneath). 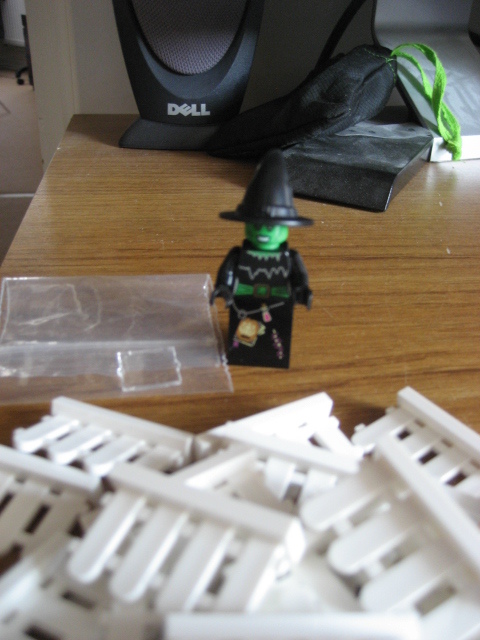 And in amongst all that lego you’ll also see baseball card storage boxes and albums…. An ebay purchase from Hong Kong with free shipping! 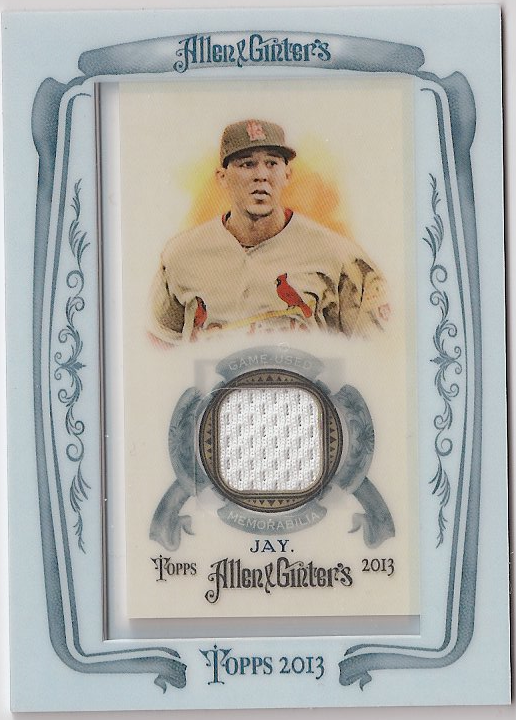 Its a very nice card but one thing I have noticed now I have the card in person is that his face in the picture doesn’t actually look much like Yadi…. Its definitely him though as you can see the tattoo on his arm.